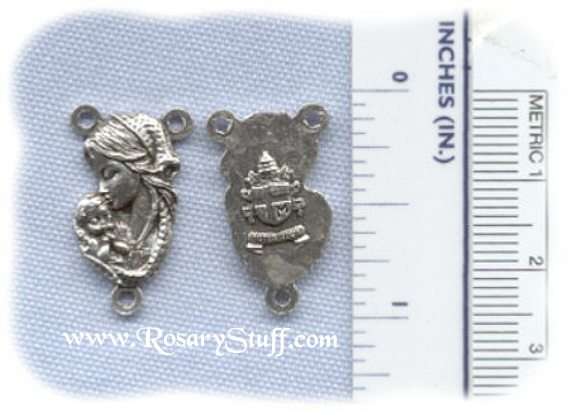 Italian silver plate center featuring the Virgin Mary holding Baby Jesus on front (#3) and the Coat of Arms on back. 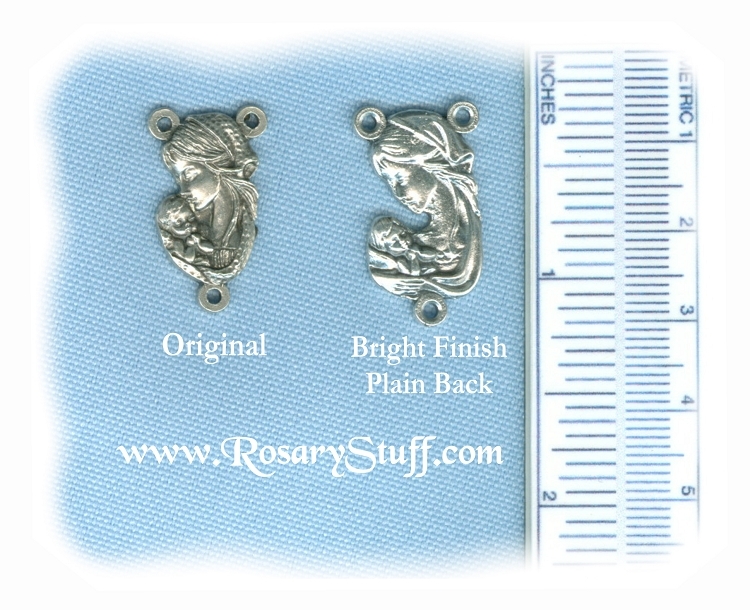 Sized at 3/4 inch tall (not including bottom loop) by a little over 1/2 inch wide. This is the original version of this center which features more detail and a more aged silver plate finish. Please see the above picture for a comparison of the 2 centers.